I did notice another quirk today, with engine running my speedo shows approx. 3mph and if I rev up towards 3k rpm I can get 5mph! That still doesn't explain my ODO discrepancy which has mysteriously gained 17miles from being parked. I think your Missus is secretly riding the bike when you’re not looking ! The strange effect may be due to the residual effects from accidentally passing through an Einstein-Rosen bridge in a black hole, and then ending up again right back where you started. Of course, another possibility is that the current in another wire (Possibly the tach wire) in the harness next to the speedo wire is accidentally inducing a small current in the speedo wire. This type of problem has caused flashing lights for low fuel and other indicator lights. Eddie Currents? Or Fast Eddie currents even? contours and BritTwit like this. gchoppin, MxMartin and BritTwit like this. Got my LFX19A4-BS12 replacement from Shorai yesterday. If I could just gain access to my shed on the hill to install it. Been getting piles and piles of snow for the past week or more. With last night's winds I'm sure there's a giant snow drift blocking the entrance again. I last ran the bike last Thursday, a good 75 mile trip. I didn't check the battery voltage but it should have been topped up close to 14V. It has been 5 days since it was parked up. I turned ignition on today to check battery voltage and it was indicating 11.7V, I hit the starter and the engine tried one miserable half-hearted crank and failed. For now I am able to keep the battery on charge so can use the bike as and when I like but will do some diagnostics at some point to see where current is being drawn with ignition off. I fitted a USB port a few weeks back but that shouldn't be drawing any power but will be my first port of call. I have done 3 days before not 5 . I will give this a try and report back. You definitely have an issue there Mx. Look at the mileage you have done compared to me, and yet I have never yet plugged my bike into a charger. Don’t compare to 70s stuff though! My ‘74 Cdo and ‘68 Bonnie both have (small) Shorai batteries and stood all winter, without charge, and fired up just fine. My 2016 BMW on the other hand, even with its half ton lead acid battery, was a dead as a Dodo after its winter lie up! The one thing I like about the Shorai batteries is the "delayed power cranking" - I have had two on my MV F4's and I don't charge them often, but when I get the bike out - one weak crank, like battery is dead. Turn it off, WAIT 1 MINUTE, try again, it will crank and start. I have heard the LION batteries have a recovery charge. That said one of the two batteries is dead, totally. The dealer confirmed that to charge a discharged unit, I have to use a regular charger to bring it then put it on the Shorai charger for storage. I also found that the run capacity for a LION battery is pretty short. 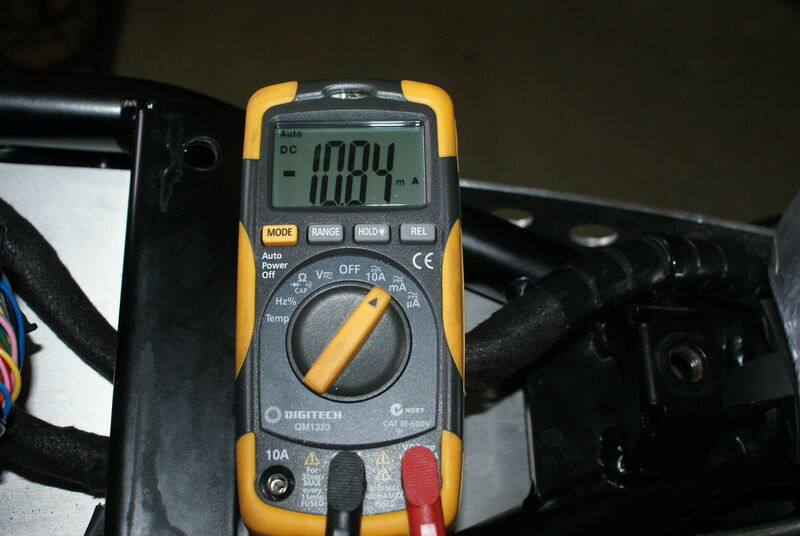 My MV often blows charge fuses and I usually keep running with the gen light on till it stops. With a AGM battery I managed about 25 kms before it sputtered and died. On the Shorai it was one lap of a track before it just quit. I am not totally sold on them, and the expense kind of out weighs the life span - 1 only 2 years to dead. 2nd one needs constant charging and I don't have too much confidence in them at all now. I had to replace mine before a year was up. The factory claimed one of the cells was bad from the start, but of course, charged me $100 for a new one. Once the riding season begins I will keep it on a charger. I am a bit skeptical. I haven't tried Shorai but had very poor luck with both Ballistic Li batteries I purchased awhile ago. Both were dead by 18 months. The smaller one was in my 47 Vincent which has a modern Alternator charging system with solid state Podtronics reg. When the battery imploded it took everything with it, had to renew the works. In fairness to the battery maker, an Alton and Podtronics really doesn't consistently put out a high enough Voltage for the Li batteries. The seller at the time said it would be fine, but he was wrong. The Warranty was of little use and I really didn't want to chance another Ballistic battery in there. I'm still an acid dropper too. I mean, in the battery tray that is. contours and worntorn like this. I measured a constant current draw of just over 10mA (0.01A). I'd suggest either install a cutoff switch at the battery or use a quality maintenance charger. Must get round to checking where most of it's going, suspect it's the ECU. A battery isolation switch seems like a very good idea. Apart from it zeroing the clock (hardly the end of the world) are there any other known downsides to isolating? Yes , There is a draw on the battery . But , I thought my testing was supposed to confirm if a properly working 961 could be parked for a week without a maintenance charger and be expected to start ? This seems reasonable to me and should lay to rest any fears of traveling . Stay tuned . I have had my bike unplugged for 7 days in 30 deg F temps and I will report back how it went . Actually 8 days it was last Wednesday morning. But what is the draw? It can’t be the bloody clock! And why do some suffer more that others? I have left mine for more than two weeks without starting it, and it fires up fine. Whereas Mx can’t leave his for two days! Both bikes are new, both have Shorai batteries, Mx had the same problems with the OEM lead acid battery.